Hello, dear readers. It is a gray, warm (70F) day in the ATX. Today, I speak to you of the curious case of Virginia Governor Ralph Northam. If you don’t know who Governor Ralph Northam is, then you may stop reading right now, go to Sbux and contemplate the prospect of Howard Schultz as our next President. 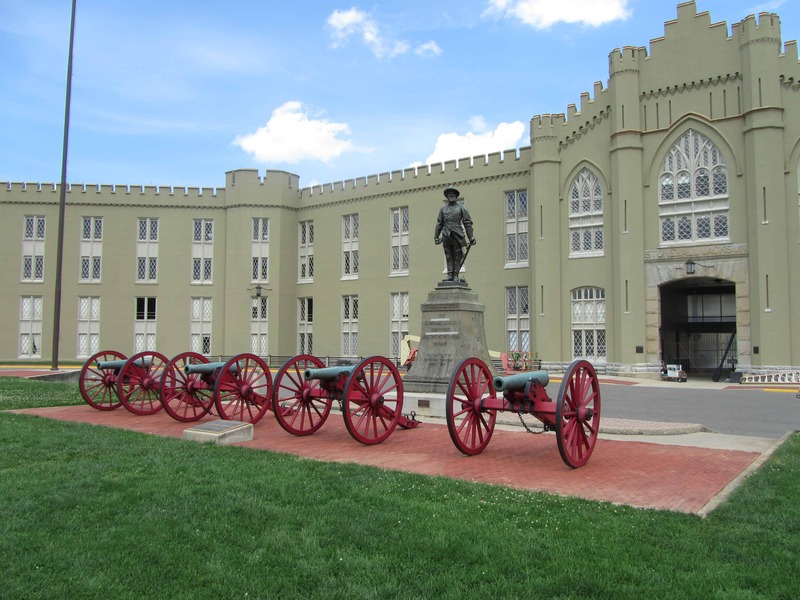 As you may know, I am a graduate of Virginia Military Institute, the country’s oldest state military school at which Stonewall Jackson taught and from which General of the Armies George Catlett Marshall graduated. General Marshall ran World War II. VMI grads have fought America’s wars since 1839. It is a very hard school. The first black cadets showed up in 1968 — a remarkable addition to the school, winners all, excellent cadets, better men — and graduated in 1972. VMI was late to the integration push. Fair criticism. Ralph Northam graduated from VMI in 1981. He was a soldier, a medical doctor, a politician — a man who served his state, his country, and mankind. If only his life story could stop right there? Stonewall Jackson in front of Jackson Arch at Virginia Military Institute overlooking Matthew, Mark, Luke, and John who saw action in the Mexican War and the Civil War. Fighting America’s wars since 1839. While at VMI, Northam was the President of the Honor Court, the highest accolade one’s classmates can bestow upon a Brother Rat. In his VMI yearbook picture, he was noted as being nicknamed: Coonman and Goose. Ugh! The stupidity of 21-22 year old men is an unfathomable depth with no bottom. I dislike everything about Northam’s politics. He is a tax-and-spend, unlimited-abortion-upon-demand, nasty campaigner who accused his Republican gubernatorial opponent, Ed Gillespie, of being a racist. Ed Gillespie is not a racist. The racist label and attack upon Gillespie was the lowest form of politics known to mankind. The ads Northam either ran or approved were repugnant. There is some powerful karma at work here. I hate Governor Ralph Northam’s policies, his politics. I do not hate him. In spite of my opposition to Governor Ralph Northam’s politics, I can say with absolute certainty that he is not a racist. Racism is a simplistic notion that human traits and capacities are based solely upon one’s racial makeup. Northam is no simpleton. What is Governor Ralph Northam, Big Red? Northam is a dumbass, who at an early stage in his life did some regrettable things that relate to race at that instant in time in America. He got caught up in the stupidity of his times. Are you covering for him, Big Red Car? No, I am not. I condemn his policies. I find his dealing with this subject to be hamhanded, inartful, and poorly executed. He deserves what he is getting–a barbed wire enema. Incredibly stupid things done at VMI? The yearbook? Yes. Incredibly stupid things done at med school? The yearbook? Yes. Incredibly stupid things done in San Antonio at the Michael Jackson dance contest? Yes. Yes. Yes. The Democrats have turned on Governor Ralph Northam, as they must. Why? They have to retain the slur of calling someone a racist in its purest form to be able to throw it at others. In the collateral damage burst radius is their own chosen, Hillary Clinton endorsed Governor Ralph Northam. The Dems have to condemn him because it would otherwise take the sting out of the charge. I have a single word of advice to Governor Ralph Northam: RESIGN. Resign because you are fatally compromised. You are already a dead duck; the undertaker cannot get to you for a few days, but you are dead, pal. Trust me on this. It is really going to get ugly. You cannot possibly be an effective leader. Go away. Go away with a smidgen of dignity and class. Every day that passes, lowers the threshold. Go away. You have brought great dishonor on your alma mater. Just go away. This has nothing to do with party politics, though the Democrats think it does. It has everything to do with compromised leadership. Governor Northam has lost the moral authority to lead. Is it his own fault? Sorry, yes. So, dear reader, there you have it. But, hey, what the Hell do I really know anyway? I’m just a Big Red Car. This entry was posted in Leadership, Politics and tagged northam, VMI. Bookmark the permalink.